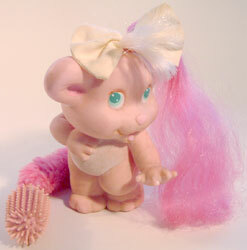 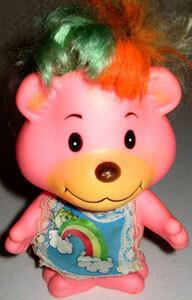 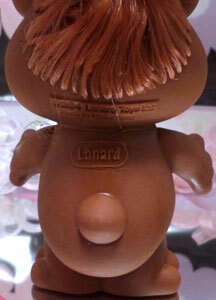 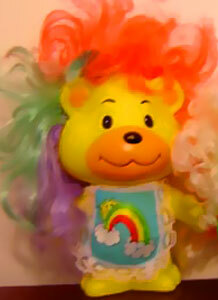 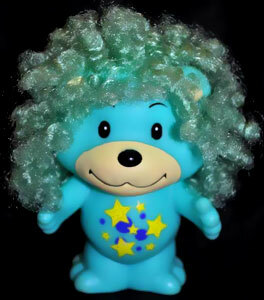 Hair Bears were produced by Lanard in 1984. 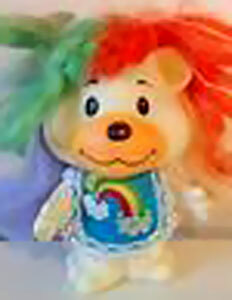 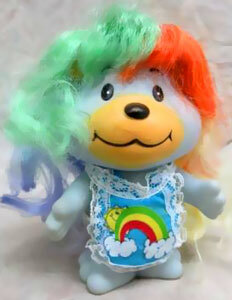 They were a small series of 6 inch plastic bears with long colourful, brushable hair and wore little aprons. 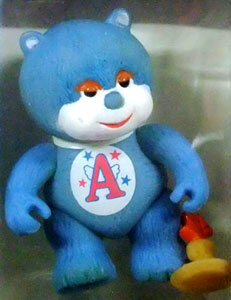 They are very similar to Lanard's Light-Up Beamer Bears from 1988, but slightly larger. 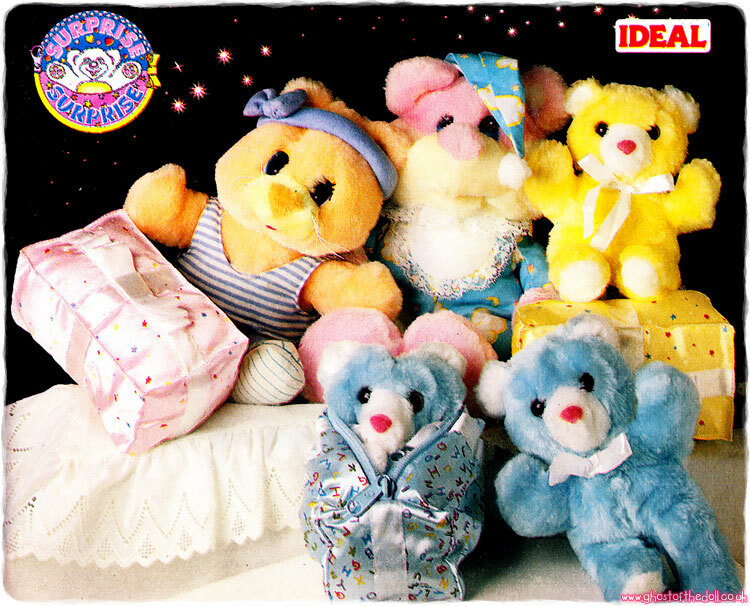 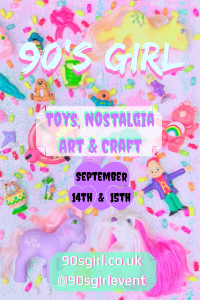 Images on this page thanks to Zuse, shopgoodwill and eBay sellers ebelievespecialties1 , sacremende , cherycay1 and rich66john ! 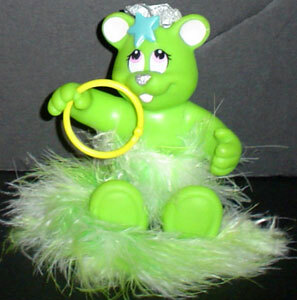 View all Hair Bears on eBay.com or eBay.co.uk ! 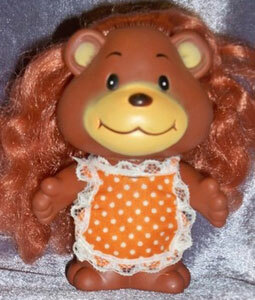 Each bear came with an apron, ribbon and comb. 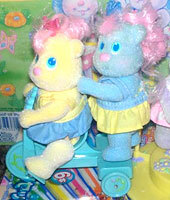 They had four different colours in their hair and plain coloured bodies. 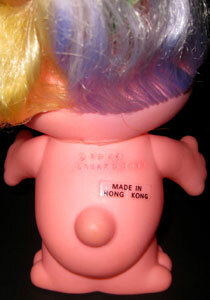 I've found four so far. 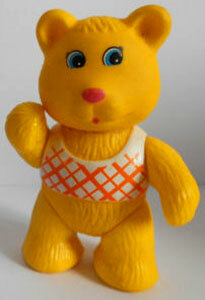 I've also found a plain coloured bear wearing a different style apron, also dated 1984. 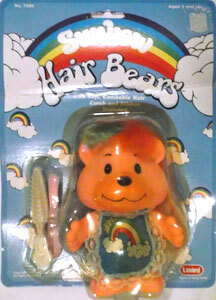 It has different manufacturers markings on its back from the multi-coloured hair version above leading me to believe it's line may have been just called "Hair Bears", then "Sunbow Hair Bears" were added the following year. 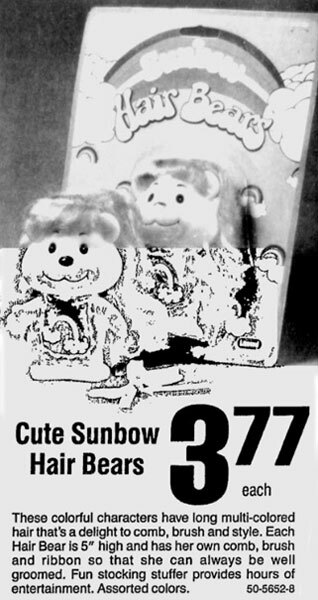 This newspaper advert is from December 1985.